Geelong’s community newspaper has launched a new-look website. Geelongindy.com.au is easier to navigate than ever, with the new design also optimised for mobile phones. 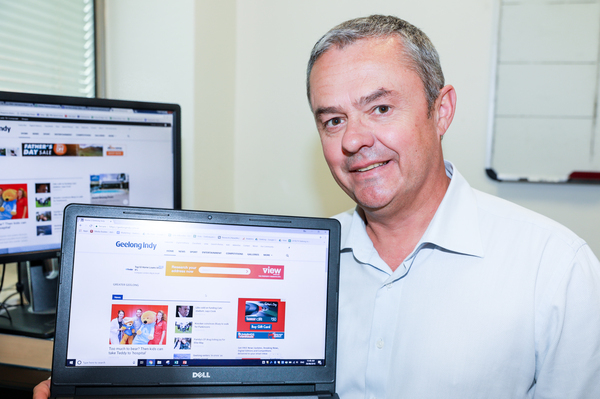 “Check out our new site for all the great local stories you find in the print version and a whole lot more,” says Geelong Indy managing editor Tony Galpin. Like its predecessor, the website has a menu bar tab for digital editions of the Indy, which includes a free email subscription service. The site also continues to provide a list of locations where readers outside the Indy’s delivery area can pick up copies of the paper. Find My Newspaper is available under More on the menu bar. The revamped website is part of the Indy’s commitment to providing the Geelong region with high-quality print and digital news. With by far the highest print circulation of local newspapers, the Indy combines its print and digital platforms to reach a massive local audience. “We’re totally local and totally free to read,” Mr Galpin says.